Feel like a Butterfingers right now? 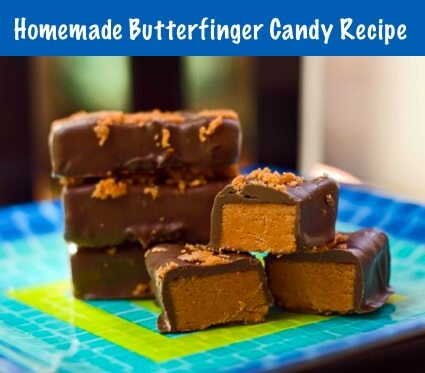 Well, if you have the ingredients and this Butterfingers recipe, you’re just 10 minutes away from enjoying a homemade Butterfingers. The recipe and the instructions just couldn’t be easier. The good thing about this recipe is there are all kinds of ways you can adapt it to your own tastes. Don’t like dark chocolate? Use milk chocolate. Don’t like creamy peanut butter? Use crunchy peanut butter. We won’t tell you the combination are endless, because with only three ingredients in this recipe!